You are kindly invited to enrol into the study programmes of Alma Mater Europaea – ISH. We are pleased to welcome you to the Alma Mater Europaea – ISH community of students and teachers, who will help you achieve your academic goals. You will find Alma Mater Europaea – ISH to be a vibrant, fast growing higher education institutions where students, teachers and staff enjoy a challenging and cooperative environment. In order to provide you with a smooth transfer into your student life, Alma Mater Europaea – ISH encourages you to early enrolment. In case of questions on enrolment conditions or procedure, please contact the student office. Enrolment form can be sent to us at any time without any required supporting documentation. The student office will inform you about the missing or incomplete documents, needed for completing the admission procedure. Results of selection procedure will be known no later than by 14 July 2019. A decision on results will be sent by mail. If you are accepted into the desired study programme, you will receive enrolment invitation per post. Enrolment of the candidates, accepted in the first enrolment period, will be from 29 July until 9 August 2019. 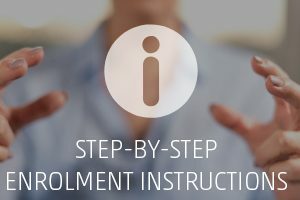 In case you can’t make it to the enrolment in the said dates, you can send the documentation by registered mail to Alma Mater Europaea – ECM, Slovenska ulica 17, 2000 Maribor, no later than until 9 August 2019. The second enrolment period will be open for those study fields that still have available study places after the 1st enrolment period. Selection procedure will be finished by 20 September 2019. Decision on results will be sent by mail. If you are accepted into the desired study programme, you will receive enrolment invitation per post. 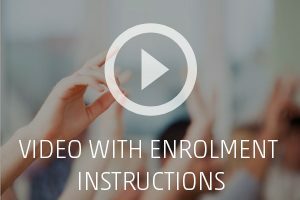 Enrolment of the candidates, accepted in the first enrolment period, will be from 23 September until 25 September 2019. In case you can’t make it to the enrolment in the said dates, you can send the documentation by registered mail to Alma Mater Europaea – ECM, Slovenska ulica 17, 2000 Maribor, no later than until 24 September 2019. Selection period will be finished by 3 October 2019. Decision on results will be sent by mail. If you are accepted into the desired study programme, you will receive enrolment invitation per post. Enrolment of the candidates, accepted in the first enrolment period, will be on 3 October 2019. In case you can’t make it to the enrolment in the said dates, you can send the documentation by registered mail to Alma Mater Europaea – ECM, Slovenska ulica 17, 2000 Maribor, no later than until 3 October 2019.